Shakespeare enjoys an enduring curiosity. While epilogues are rare in his work, the ones we have can bring us the authors perspective in a more direct fashion than is the case with the plays they conclude. Since we are naturally curious about Shakespeares thoughts and attitudes as a working actor and playwright, might not these moments of stepping out from the story to address the audience directly give us some direct insight into what he was thinking and what he was like as a person? 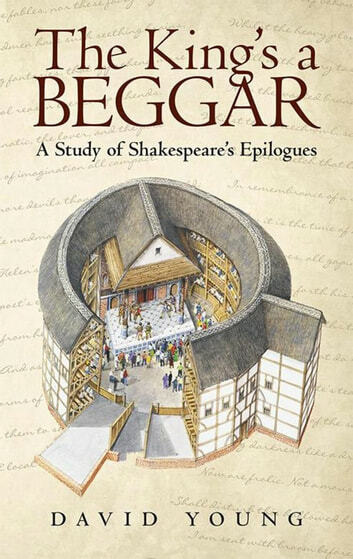 In The Kings a Beggar: A Study of Shakespeares Epilogues, author, poet, and actor David Young explores the liminal, in-between space of the epilogue in Shakespeares plays. Inspired in part by his performance with Patrick Stewart in a production of The Tempest, Young offers a chronological survey of the nine plays with epilogues and draws a conjectural portrait of Shakespeare as a working dramatist. 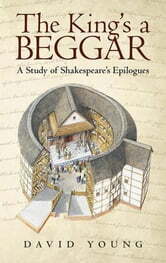 Written both for experts and for the general reader, The Kings a Beggar is succinct, lively, and informative, and it is the first and only study of Shakespeares epilogues as a group. Though the point is not that Shakespeare himself spoke these epilogues (though in some cases he might have), the epilogue in Shakespeares plays represents those times when he felt the necessity of direct address to the audience and broke his usual habit of ending his plays inside the story. Exploring this liminal space between play, actor, and audience can reveal fascinating insights into Shakespeares mind and art.